Every detail, from the multitude which assembled the vehicle is assigned a unique catalog number - the item which is tied to the VIN codes for specific models of machines. Ordering spare parts is aimed primarily to facilitate the work of employees of the dealer service centers, and this explains a certain Oreal mystery, existing on the market. 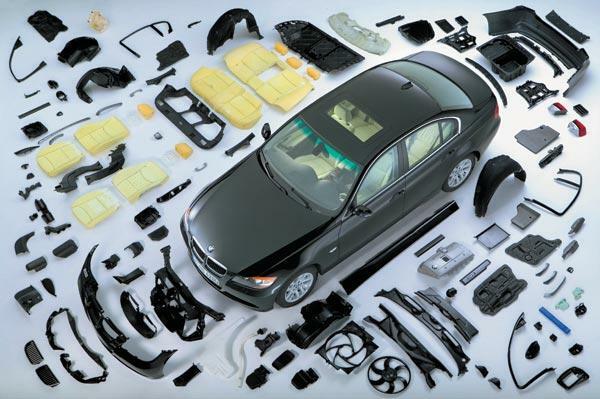 - access to the parts catalog (online or on storage media). Identification number of the part (SKU) is displayed in the electronic catalogs, Internet resources or databases of digital media. Code unique to each, even the smallest, parts of the car and, as a rule, is applied on the body parts. To learn it, the easiest way is to remove the item from the machine. But, despite the desire of many motorists to independent search for the parts, still they are strongly advised to seek the assistance of certified professionals. Such recommendations are based on the fact that in the process of manufacture of spare parts there is a constant modernization of production, which entails the replacement of parts. Consequently, even the last, true to the code details might be out of date today, and to perform Krasilovka not everyone is able. To know the original number of items is possible after the introduction of database search an online store specializing in the sale of spare parts, VIN code of the car. This method is one of accelerated. It is also possible a sample of online databases according to the make and model of car, the year of its release, but not all network vendors provide this option. Alternatively, you can purchase a database with a set of applications on digital media and to search for the right details in it, but in this case there is no guarantee of the relevance of the catalogue at the moment. It should be borne in mind that aftermarket parts are also marked items, which are assigned to them by the manufacturers and on the website of the online store needed, must be placed the information is usually published next to the original roomom.